As part of our ongoing research and development in the pursuit of a better online user experience, Einstein Law introduced two new themes in the second quarter of 2016 designed to meet the needs and expectations of those using mobile devices to find legal services. These two themes, Plaza and Acclaim, are part of a new breed of Einstein sites we call Thesis. Just like a thesis statement, these sites are designed to convey a clear summation a client’s purpose and their services, which is supported by easily accessible information arranged in an intuitive configuration that is especially easy to explore when using a tablet, smartphone, or mobile gaming device. While our sites were given specific adaptive capabilities in the wake of Google’s 2015 algorithm change that gave unprecedented clout to mobile-friendly sites, these Thesis sites were our first to conform to a new “mobile-first” philosophy. In other words, these sites were not intended to quickly reshuffle themselves to eliminate the annoying dragging and resizing that mobile users once had to endure. Instead, our primary consideration was the mobile experience, which is then reinterpreted for those who are using a desktop device. Although the mobile experience is the priority, both templates are designed to provide a rewarding experience on every device, with the fastest possible page speed thanks to the automatic elimination of excessive image resolution and other digital excess that slows loading time. 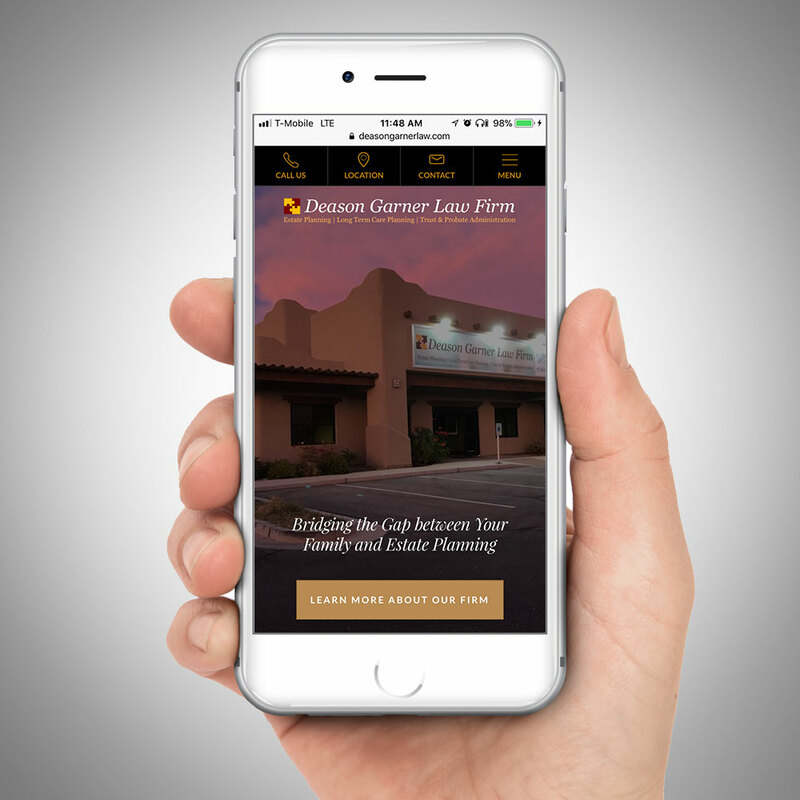 Plaza, the template used to create the online home of Deason Garner Law Firm, uses bold headlines, a large, clear typeface, and high-resolution images to provide the user with a welcoming and informative experience as they scroll from top to bottom. A white background provides the foundation for the content, flanked by tasteful flourishes of a limited color palette. This simple and intuitive layout fosters a very clear delivery of the message, without forgoing a welcoming human touch. 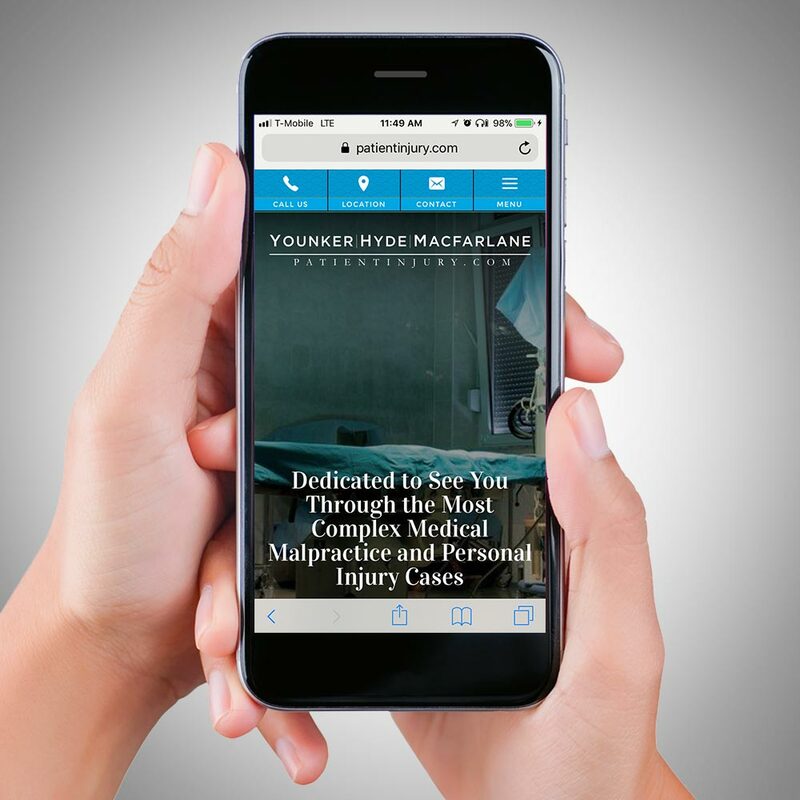 Acclaim uses a very similar approach, which attorney Norm Younker customized with an immediate introduction of his practice areas using relevant accompanying images. As a personal injury attorney, those seeking his services are likely under considerable duress. This configuration allows users to quickly find information regarding how Norm Younker can help them through their challenges. Explore the links below to see how our clients’ practices are benefitting from Einstein Law’s services in the Mobile-First Age.